Could a Kindle Phone Really Redefine the Smartphone Market? Interest in a potential Kindle Phone has been rising ever since Bloomberg reported that Amazon was in the middle of testing said phone. The logic behind the move is arguably sound for Amazon, which leaves people fairly certain that it will happen. After all, if there are customers to be gained and the sort of 24/7 connection that many people have with their smartphones can be tied into Amazon services then the hardware line is worth it even if it doesn’t generate a dollar in sales on its own. What is especially interesting about all of this speculation, however, is the idea that Amazon is on the verge of upsetting the smartphone market in a major way. To really understand the potential impact of a Kindle Phone, we have to look at what they have already done with the Kindle Fire. Users get access to an affordable, functional consumption device that is tied into Amazon.com. There are no major optional features, none of Google’s default Android services, and no efforts are being made to pretend that it is anything more than what it is able to be. All the designers cared about was how to get people the best access to Amazon’s media at the lowest price. Let’s carry that through to a phone. Obviously we would be talking about something highly affordable. That is how the company defines their products. It would have to be exclusively connected to Amazon’s own services, which means no Google interaction. In a market increasingly pushing for universal access to turn-by-turn directions, calendar alarm notifications, and constant digital communications access, this could be slightly problematic. Even the Email app that shipped with the Kindle Fire didn’t quite work right at first, so it is hard to imagine them solving every possible problem with a new, more complex Android implementation so soon. This doesn’t rule out an Amazon phone, but it does place it in a certain bracket. Just as the Kindle Fire doesn’t try to directly compete with the iPad, perhaps a Kindle Phone would avoid trying to compete with the iPhone. There is a great deal of exposure to be gained if they choose to go with a “pay as you go” device. A Kindle Phone with the ability to connect to WiFi networks could be sold cheaply to millions of budget-conscious consumers. Even if they didn’t need it as a phone, the iPod Touch has demonstrated in the past that there is a level of consumer demand for such hardware. The ability to add prepaid minutes to a calling plan would just add a level of functionality to make it marketable while avoiding many of the hassles inherent in dealing with a normal carrier. There is too little information to go on so far, and it is still definitely possible that Amazon will come out with a whole array of new services to make up for the lack of Google integration by the time a Kindle Phone sees the light of day. It might even turn out to be a high end device that puts every Android smartphone on the market to shame. The Kindle Fire set the tone for Amazon’s Android hardware, however, and the theme there has been one of simplicity and affordability. I think it is unlikely to see that change just yet. 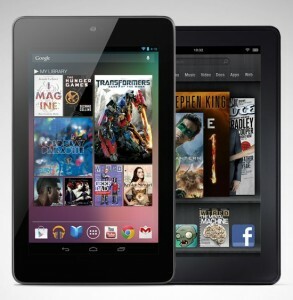 Nexus 7 vs Kindle Fire: Should Amazon Really Be Concerned? Hardware specs aren’t everything when it comes to tablet performance. If they were, the Kindle Fire never would have gotten off the ground. Still, the Nexus 7 from Google is far enough ahead in that respect that if you are buying a $199 tablet right this second the choice is clear. People invested in Amazon’s ecosystem, or interested in choosing what is quickly becoming the leading provider of digital media, will still grab the Kindle Fire. Everybody else would want the Nexus 7. It is just better at being a general purpose tablet. This doesn’t mean that Google has won, though. They are in the lead for the moment, but we have months before sales spike again and in the meantime Amazon will be releasing their new hardware. Even if it doesn’t stand out as completely superior to Google’s device, the next Kindle Fire will draw a crowd for any number of reasons. Nothing else in the Android market has managed to compete on the same level so far and it isn’t just because Amazon dropped prices. There was a time when I would have predicted that Google of all companies would be quick to adapt to the competition. The delays surrounding the Nexus 7’s release tend to indicate that this is not the case. The company had trouble getting the power they needed to make this an ideal showcase for Android 4.1 while also keeping the price down at $199. With Amazon clearly being willing to subsidize their hardware to bring in media customers, that price will almost certainly not be rising. The Kindle Fire’s hardware will be improved nonetheless, though. Right now, as I said, it is a clear choice. If you truly want a tablet right now and can’t afford to wait, the Nexus 7 is the best thing on the market and you will not be disappointed. Nobody else is going to release such an affordable yet functional general purpose Android tablet right now. By the end of the year things will be more chaotic. Customers will be facing holiday choices involving not only Kindle Fire vs Nexus 7 or Android vs iOS, but Everybody vs Windows 8. All of the hardware looks like it is going to be impressive and tablet sales numbers are expected to be higher than ever. Google will have had their tablet in peoples’ hands for longer than any of the major players besides Apple by that point. It allows a lot of time for interest to have cooled in the meantime. They are rumored to be trying to offset that by scheduling a later release of the Nexus 10, but the same rumors mention setbacks due to manufacturing difficulties so that may be off the table for a while. Realistically, I think it is fair to say that Amazon will continue to be a major player (possibly THE major player) in Android tablets for the indefinite future. The only thing they really have to worry about is the downfall of Android if Windows 8 tablets take off. Google’s devices are going to be better at running stock Android builds, but Amazon has never tried to pass the Kindle Fire off as the most powerful device on the market. As long as they can keep the comparisons from going too far in favor of the competition, the integrated media services will carry the sales. There is essentially no competition to be found between the Kindle Fire and any imaginable Windows 8 Tablet at this time. I’ve touched on this a bit here already immediately following the announcement of the Microsoft Surface tablet, but it’s come up in emails and various other places often enough since then to be worth revisiting. They are catering to completely different needs, price ranges, and purposes. I doubt this comes as much of a surprise to anybody, but let’s hit the high points again. The comparison ends up being very similar to that of the iPad vs the Kindle Fire. It is inevitable that people will compare them. After all, they are both tablets. Add to that the fact that they are both extremely popular and that each is backed by one of the biggest companies in the world right now and the parallels are too clear to ignore. Stepping past the most superficial aspects gives us a much more meaningful understanding. In the case of Windows 8, we’re looking at a tablet OS that is deliberately formed into something that could replace a laptop. The Surface is the ideal example, as you would expect when Microsoft designed both hardware and software sides of things. Users get productivity apps along the lines of a full Office suite, a well-integrated social media sharing system, and more. If you could possibly want to do it on a tablet, or on a portable computing device in general, Windows 8 is probably somehow equipped for that. The Kindle Fire, on the other hand, doesn’t even come with full Android functionality. It is an Amazon device meant for consuming Amazon media services. You don’t get much in the way of access to third party programs. Even media coming in from a non-Amazon source isn’t always supported as well as one might like. I can recall a few occasions when the lack of a decent codec pack was problematic. If a particular user’s situation demands it then they can certainly install some approximation of office apps and such, but the experience will be less than ideal and there is no way to significantly improve it. 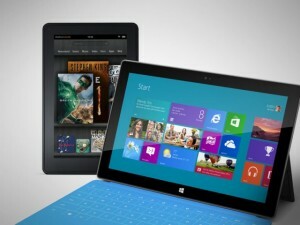 There is a reason that the Kindle Fire is priced so far below things like the iPad and, presumably, the Surface. You wouldn’t be wrong to guess that part of it is simply an inability to compete at that price point, but you wouldn’t be entirely right either. Amazon is using the tablet in a different way and not even really trying to compete. There will always be implicit comparisons. Not only will they come up with the big names in the tablet market, but the Kindle Fire will forever be lumped in with the Android Market as people try to figure out who is doing well. In reality, it doesn’t even belong there. Their device is being sold cheaply, maybe even at cost even now, specifically because it doesn’t matter how much they make on the hardware. Anybody who uses a Kindle Fire, however briefly, is a win for the company simply because they are then tied into the media network where Amazon is really interested in making their money. They don’t want to make a tablet that can be everything for everybody, just to add a bit of incentive to choose them for any digital media needs one might have. In most of the ways that matter we can safely say that the eBook war is over. Owning a Kindle is no longer strange or a sign that one is obsessed with gadgets. Where does all this lead, though? In many ways there is nowhere left to go for these devices, or at least nowhere obvious, and while they will certainly persist in at least as advanced a form as they have already achieved there is the question of how much room for growth the eReader market will eventually have. I bring this up because of reliability issues in eReading devices. Unlike most electronics that I have owned, my worry here is that they tend to be overly reliable. I have owned a handful of such devices since my first in 2006. That one, a Sony Reader PRS-500, still works as well as the day I bought it. The battery was a little worse for wear after sitting for six months in a closet, but the screen is fine. The same is true of every other example I have on hand. Until now, upgrading was a matter of often drastic improvements in screen contrast and refresh rate. Five minutes on a first generation Kindle will have you tearing your hair out if you’re used to using a Kindle Keyboard. With E Ink Pearl displays we have hit a point where you are basically looking at paper. Thanks to the Nook Simple Touch w/ GlowLight, and soon its anticipated Kindle counterpart, we are able to read in the dark without trouble. Short of introducing color and non-perceivable screen refreshes there is not a lot of room to grow. If anybody manages to figure out both of those without introducing severe downsides like battery life reduction then chances are good that the displays will be more useful on tablets anyway and the dedicated eReader will remain a niche purchase. If we have a product that will not likely see much in the way of hardware improvement beyond the next generation or two, especially one that can last as long as a Kindle, it could cause rather lower sales rates than one expects in consumer electronics. The newest eReader I own has already outlasted the newest laptop I own despite having seen ten times the use. Looking purely at the hardware side of my purchasing pattern would give the wrong idea about my preferences as a consumer. Essentially, I’m wondering how long the idea that the hardware and media sides of the Kindle business model can be kept even nominally separate. There may come a time when stagnant growth for the line is not the sign of problems. 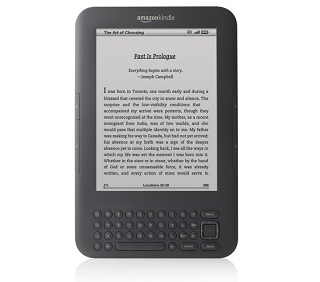 I don’t doubt that eReaders in general and the Kindle in particular will continue to be updated. If nothing else, there are parts besides the screens that will need to be updated to keep up with new software features as time goes on. I only wonder how often people will feel the need to upgrade. It is hard to see huge performance improvement as a necessary factor when you’re talking about a device meant to emulate the experience of flipping over pieces of paper to see what’s on the other side. There is no avoiding the fact that the Big 6 publishers created their own problem in the Kindle. Amazon provided them with an easy way to start making a move into digital publishing when it was just getting off the ground and they jumped at it. That alone wasn’t the problem, though. The issue was that they were so paranoid about the medium that they managed to lock people into the first platform they purchased any significant number of books through. Let’s face it, nobody is better at successfully selling, suggesting, and just generally getting people interested in books than Amazon. I’ve talked here before about how the Kindle deserves its place as the top selling eReader primarily because nobody else has come close to designing a store that gives customers so much of what they want. The suggestions are often eerily accurate, the categories make sense, and the search options are almost always up to a given task. Even Barnes & Noble can’t come close because of how used to the store-based practice of sponsored marketing they are. Given a choice between accurate recommendations based on personal purchase history balanced against similar customer profiles and recommendations based on what publishers decided to pour an advertising budget into, the choice is fairly simple. We know that Apple’s price fixing scheme was not the answer in the long run. Not only did it not work particularly well to decrease Amazon’s influence, now the publishers are enjoying legal troubles for their efforts. They do have plenty of reason to want more diversified distribution, though. Looking at Amazon’s treatment of the IPG is enough to highlight some of what it means to be completely at the mercy of a single distributor. The problem these publishers really need to address is that of their DRM. Amazon has not required publishers to participate in their DRM scheme, to the best of my knowledge. That was forced by publisher paranoia over piracy. If done away with, they are afraid that eBook profits will plummet. Here, it seems like publisher interests are actually well served by the design of the Kindle. Without losing existing Kindle owners as customers, publishers could easily begin selling their titles without DRM and encourage wider competition. Best case scenario, this would allow publishers to open their own cooperatively stocked eBook store. It would also make possible the creation of smaller stores taking advantage of the same opportunity. If somebody got truly ambitious, it wouldn’t even be hard to create a Kindle alternative that allowed for essentially the same experience. There are any number of Kindle clones on the market already that do the job fairly well and could probably do it better if the provider felt it was worth the investment in development. There’s no incentive if they can’t attract customers because Kindle Store purchases are locked down to Kindles. All of this hinges on publishers looking past the possibility of piracy. How is that really so difficult, though? The DRM on eBooks is already laughably easy to get around, judging by how common stories of switching platforms through format conversion have become. If somebody really wants to pirate content, it is going to happen anyway. If these companies genuinely believe that the only thing keeping most Kindle owners from helping themselves to hundreds of free books is the DRM scheme, they’re fooling themselves and working against their own best interests. It is occasionally amazing exactly how far we’ve come over the years. It’s an inane observation but not, I think, an inaccurate one. This came to me recently while reading Halting State by Charles Stross. I enjoyed the book immensely and can’t recommend it enough, but it occurred to me about halfway through that much of the “science fiction” being employed was realistic enough to give me pause. Augmented reality glasses, arguably the major liberty Stross takes with real life, are hardly unlikely if Google is to be believed. The idea that technology increasingly mediates our interactions with the world around us brought to mind some thoughts about how the Kindle has changed our perceptions. The trend toward digitization of print media is ongoing and not isolated to anything Amazon has done. What they made with the Kindle platform, however, was the first real method for instantly accessing any eBook in circulation at a moment’s notice (acknowledging certain exceptions, of course). If you saw an interesting ad, you could grab the book from your phone and have it with you the next time you wanted to read. If somebody recommended a book, you could immediately check the reviews and give it a shot. If a student forgot their book, they could often fix the problem immediately rather than sitting around bewildered. The effect has been extensive in obvious ways. Libraries are having to adapt to the eReader presence, for example. Not only that, they were in a fair amount of trouble while OverDrive adapted to the Kindle since the vast majority of eReader owners prefer the Kindle platform. Bookstores are feeling the press as well, being forced to compete, choose sides, or go the way of Borders. The more subtle effects are more interesting, though. Anecdotal evidence suggests that many book stores are having trouble unloading “classics” these days. Where a faux leather cover on a book that was probably never going to be read might have been enough to sell a bargain bin title in the past, customers are increasingly aware that they can have those older titles for free and don’t have the incentive to have them on hand purely on principal anymore. Reading in public is also becoming more common. It has never been uncommon, of course, but now the ability to read without openly displaying your book preferences makes the Kindle a smart buy for people with guilty pleasures of a literary nature. We’ve seen something of a romance novel boom reported as a result. There are all sorts of little ways that this comes into play. When you take into account the fact that the Kindle platform is available on any smartphone in circulation at the moment, we’re basically talking about the most wide-spread literary revolution since the move to codex-style books. Maybe I shouldn’t attribute the whole shift to the Kindle, but if you have to put a name to it then Amazon’s product is the one to spring to mind. Without trying to sound clichéd, any thoughts on how the Kindle platform and eReading in general has changed our lives? I was expecting more from the instant Wikipedia access anywhere that Kindle devices offered so early on, but it seems in retrospect that this was the least profound impact of the lot. This is going to be a bit controversial, I’m sure, given how Amazon has gone about using their influence to beat down smaller publishers and other suppliers recently, but when it comes right down to it there can be no doubt that Amazon deserves to be on top of the market right now. It isn’t a matter of overhead or business ethics or anything like that either. They are just the only company selling books right now that seems to be good at giving customers what they want. Let’s think this through a bit. People like to read. Even before the Kindle and Nook started their competition, both companies were selling books. Amazon had the advantage, mostly because they could afford to cut prices more than a company like B&N that had to deal with maintaining a storefront. When the Agency Model was imposed by Apple and the Big Six Publishers, then, surely B&N should have taken off again, right? This is admittedly an oversimplification of a complex situation, but when you throw in the common and intense criticism that Amazon faces from all quarters these days you have to wonder why nobody else has been able to attract attention as a superior alternative. The Nook Simple Touch eReader is possibly the best hardware out there, for example, so why is the Kindle dominating the space? The answer is that they know how to give customers what they want. Not just in terms of free shipping, discounts, and other such monetary inducements. Shopping for book on Amazon, Kindle Editions or not, is simply a better experience than anybody else offers. Barnes & Noble provides customers with a site that is comparatively hard to navigate and that seems to openly privilege business agreements over anything else in how it presents potential buyers with suggestions. Shopping for Nook Books, you get long lists of Bestsellers, anticipated releases, and other such predictable content. It is just like what one would see when walking into a book store. Interesting in some ways, but far from an organic series of recommendations based on what people are really enjoying right now. In the Kindle Store, Bestsellers and Editors’ Picks are categories that have to be clicked through to. Customers have an extensive list of potential categories for book browsing presented to one side and a completely fluid list of top selling titles on the other. The only product placement is for the Kindle eReader itself. On top of this, once moving into one of the many categories, the first thing you see is a list of books generated based on your own reading habits. All Barnes & Noble gives you is their Booksellers’ picks. Is Barnes & Noble doing something bad here? Not at all. But they are trying to maintain the sort of model used in their physical stores. They are trying to act as gatekeepers and mediators, telling customers what they should want rather than presenting customers with something they may want. This, more than anything, is what gives the Kindle user the superior overall experience. If somebody is able to provide a similar sort of service, helping their customers rather than advertising at them, it will be the biggest blow Amazon has taken in eReading since they stepped into the field. So far, it doesn’t seem like anybody has caught on. While it is hardly the only place that media piracy is coming up these days, eBook piracy is very much on the minds of publishers and booksellers. There has been some informed speculation made that possibly as many as 20% of all eBooks currently loaded into devices like the Kindle are pirated rather than purchased. The number is almost shockingly high for some and seems to demand a response. The big question is what action could and should be successful. Since I’m assuming that this reaches a relatively well informed and reasoning audience, I don’t need to spend much time on the fallacy of assuming that every eBook loaded onto a Kindle thanks to piracy is a lost sale. Naturally this is not the case as studies have shown repeatedly when looking into music, movie, and video game piracy. Most of these same studies have shown that piracy does not have any strong negative effect on sales at all, but let’s assume for the moment that at the very least it allows the market trends to shift based on where customers see the most value to be gained for their money. This is where the piracy “problem” gets relevant. Publishers wish to control the perceived value of their product. It is problematic for them if customers are able to get the same quality of experience from a $3.99 eBook that they do from a $17.99 hardcover, as this has an adverse effect on a mainstay of traditional publishing. Unfortunately, this sort of control can only be exercised in a situation where the publishers can regulate the flow of new work being made available to customers. eBooks naturally render this impossible, especially given how simple it is to choose self publishing these days thanks to Amazon, Barnes & Noble, and others. Do I agree with the idea that books should lose value in an environment where there are too many of them to possibly read? Not entirely, but that’s just the way things work. If you have two similar titles being offered for wildly different prices then the cheaper one is likely to win out, barring dramatically successful marketing efforts. The only way that piracy really plays into this is in allowing readers to still have access to their favorite authors in situations where they would feel unable to justify paying now-outrageous prices. This is not necessarily a view of the emotional or philosophical “rightness” of the act, just an awareness of the psychology at work. When it comes right down to it, you can’t stop piracy. No matter how restrictive the DRM, there are always more people interested in breaking it than maintaining it. What you can do is adapt to the market and respect your customers. Publishers who insist that if they can just shut down piracy sites and force Amazon to set high prices for Kindle books then all will be well are deluded. The only way to control piracy is to make legal acquisition affordable enough and simple enough that the alternative is too much of a hassle to be considered. The problem is not that the Kindle allows readers to access files they pick up from anywhere on the net, it’s things like the Big 6/Apple Agency Model implementation that try to freeze an entire form of media into an economic model that no longer functions. 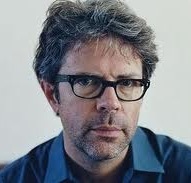 Jonathan Franzen, author of such wildly popular titles as The Corrections and Freedom has recently made a bit of an impact on the eReading community by coming out against electronic media. Apparently the Kindle is ushering in the end of the book, which normally we would agree is a bad thing that we need to be aware of. Sadly, rather than leading us all to a new understanding of the book as a format that happens to rule out safe transition to digital forms, his arguments against eReading are somewhat misleading and represent a person more interested in rationalizing a knee-jerk reaction to new technology than in understanding what he’s talking about. Probably the biggest, and certainly the most publicized, aspect of Franzen’s argument centers on his perception of the supposed permanence of the printed word. This makes sense, as after all once something has made it to print it can never be altered. Of course it also completely ignores the facts of multiple book editions, author revisions, and abominations like the 2011 release of censored copies of Tom Sawyer and Huckleberry Finn. His assertion that “A screen always feels like we could delete that, change that, move it around” and therefore “for a literature-crazed person like me, it’s just not permanent enough” is entirely based on the obvious misperception that digital copies are somehow fluid. If you are talking about your personal copy of a book, it is far easier to drop, rip, stain, or otherwise destroy a paper copy than it is to break open the Kindle Edition and make your own changes. Assuming he is talking about the master copy of each book, as in the one that is stored centrally by Amazon, then it would be hard to argue that the printed edition is significantly different in that regard as there have historically been scores of authors with a tendency to re-write later editions of their books. One of Franzen’s own books involved a recall to accomplish exactly this, in fact. I’m fairly hopeful that he didn’t mean to imply that anybody besides the author was likely to go in there and start playing around with the text on a wide scale, but even if that were the case it is not worth addressing here. It is one thing to claim that you have a strong preference for paper books. There is nothing wrong with that and any number of people would agree with you (myself included depending on the situation). To try to talk others into agreeing with you through groundless arguments is a shame though, especially from somebody in a position to reach such a large number of readers. Maybe this was all a publicity stunt meant to draw attention to the smaller point he made regarding the dangers of a society obsessed with instant gratification, but if so then he strongly undermined his own credibility by opening with such ridiculous assertions. I won’t even go into the irony of these comments having been made by somebody who has done extremely well in terms of Kindle book sales, but even without that you have to wonder what he was thinking.